How can we cope with dynamic landscapes that change before our eyes – unsettling us as we convince ourselves of our preference for stability? Yet, we are well equipped physically, intellectually and socially to handle change, even on a large scale, though we may not realise that that is what we are doing – the only constant in our lives and surroundings is change. At a landscape-scale, the process of change can be highly visible, rapid and disturbing. We all want to come from somewhere and our roots – or sense of place – are partly built on the foundations of emotional attachments to physical things – a building, a hill, a large tree… If we leave a place and return a while later and find that one of our personal foundation blocks has gone – the building razed, the tree cut down – a piece of who we are disappears; part of the root withers. 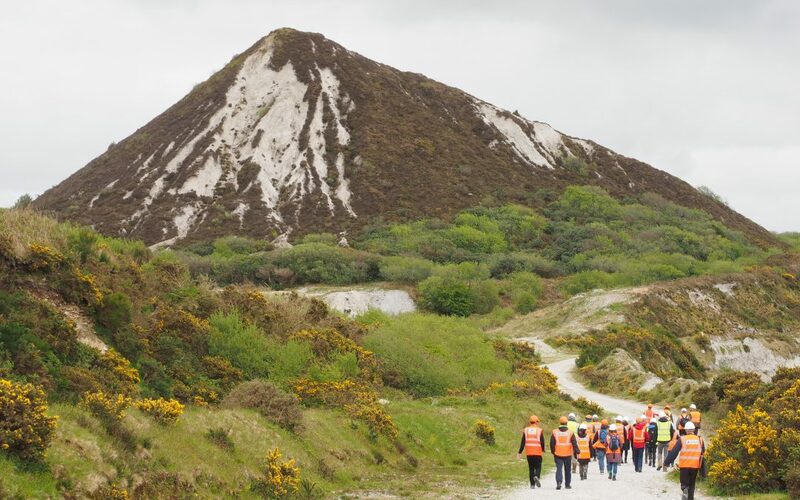 In Cornwall’s China Claylands mining landscape, thousands of people live in and around one of the most dynamic man-made landscapes in the world, where millions of tonnes of rock are dug from the surface of the earth and re–deposited in hills during the mining of a million tonnes of china clay every year. Roads are moved almost overnight. Buildings are constructed and demolished. Villages wax and wane. Lakes are created or filled in. Emotional reference points may be forced to change several times, leading to disconnection, disorientation, a sense of loss and hopelessness. In such places, though, opportunity exists and a creative mind and a sideways perspective may contribute to a new, more optimistic narrative for a place and push the door ajar on new possibilities. It is with this backdrop that I was fascinated to facilitate the Landscapes in Limbo workshop – more formally entitled, “Creativity and Stewardship in Changing Landscapes”. The three-day workshop in May 2018 was organised by Caitlin DeSilvey, Associate Professor of Cultural Geography of the University of Exeter’s Penryn Campus in Cornwall and her team. 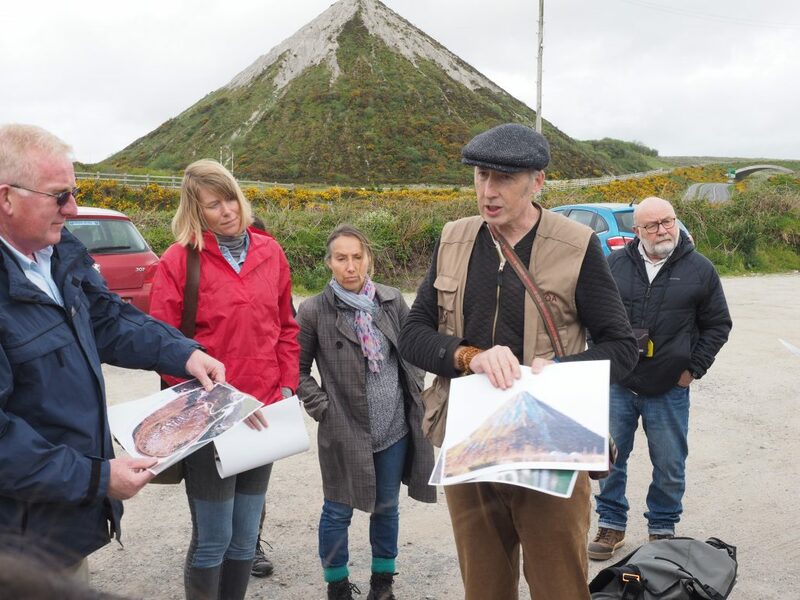 It was held at Wheal Martyn Clay Works Museum and included educators, researchers, artists, storytellers, and landscape managers. This was a key deliverable of the Heritage Futures project – a four-year research programme from 2015 to 2019 funded by the UK Arts and Humanities Research Council. 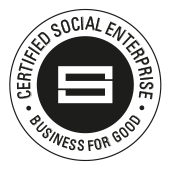 Future Terrains has been a partner since the start of the project. It has also been enlightening to get to know, a little bit, the project’s creative fellow and landscape artist, Antony Lyons. A report from the workshop is available on the Heritage Futures website [here]. Hello Peter, Thanks for posting this. It is a great inspiration. We are faced with similar concerns here in the Hunter Valley in NSW, Australia. Perhaps we can use a similar model to work through some of the issues that arise here as a result of open cut coal mining. Thanks for the kind comment on my post. The project’s work is fascinating and inspirational and the model is utterly transferable for adapting to other situations. Let us know if you have any further thoughts on this. And good luck! Great to read these reflections. And thanks for the mention ! Good to know that the delvings and discussions may have resonances in other mining/post-mining landscapes. I’d love to use the second image – with attribution of course – in a piece I’m writing for the Heritage Futures book-of-the-project. If permissible, could you send it to me? It’s good to hear from you. I hope you are doing well. I’m very happy for you to use the second image, with due attribution… I’ll send the image shortly. Let me know next time that you are down in Cornwall.